If you want to track inflation rates in Alberta, you are on the right page. This calculator uses the Alberta Consumer Price Index from 1978 (earliest year available from Statistics Canada) to 2015 to measure the effect of inflation. Statistics Canada releases separate CPI rates for the cities of Edmonton and Calgary, and we are in the process of developing separate calculators for these two cities, but in the meantime you can use the Alberta provincial inflation which should be very close to the one of the aforementioned cities. Simply enter the amount of dollars near the “original costing” field, then choose the two years you want to compare. As mentioned above, this calculator uses the latest Consumer Price Index (CPI-U) from Statistics Canada for the province of Alberta. Statcan releases a new CPI for Alberta and all other provinces on a monthly basis, and has historical rates for the province of Alberta going all the way down to 1979 (1914 for Canada). Our calculator’s engine extracts the data as soon as it is published on the government’s website, so you can be guaranteed that the numbers are up to date. What is the Consumer Price Index (CPI)? The Consumer Price Index measures the increase of the cost of basic products and services that Canadians consume on a daily basis, such as: food, shelter, clothing, healthcare, transportation, alcoholic beverages and tobacco products. 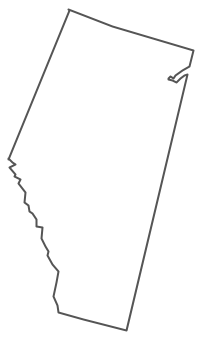 In this case, we focus on the CPI for the province of Alberta only. A CPI increase means the inflation goes up. The CPI is calculated monthly and is published by Statistics Canada on their website as soon as it comes out. Every province has its own CPI rates as well. Again, cities like Calgary and Edmonton have their own CPI releases and we will soon be launching separate calculators for these two cities so check back soon! Notice a mistake or bug with the calculator? We do our best to ensure our results are accurate and match the CPI data provided by Statistics Canada. However, like with every script, errors and/or bugs do occasionally pop up, especially during the update process. If you think you are getting the wrong numbers for Alberta or any other province, or you are getting an error message during the calculation, please contact our administrator and it will get resolved in a flash. This is definately NOT accurate ….. they are basically telling you on average everything is 3.5 times higher since 1979 in Alberta. When in reality it is much closer to 5 or 6 times. Gas was 0.16 a litre, I could not get 8 dollars into a 50 litre tank. Food has risen about the same. Maybe a TV is cheaper, but how many of those to I buy from pay check to pay check.